Michael J. Wilkins & Erik Thoennes, Biblical and Theological Studies (Wheaton: Crossway, 2018), 127 pp. Almost thirty-five years ago, I sat in my first undergraduate Bible course. It was a steep uphill climb that involved a whole new vocabulary. Those days were both exciting and daunting. One of the missing pieces of my education was a clear big picture. Michael Wilkins and Erik Thoennnes offer exactly what I needed in the early years of my theological education in their book, Biblical and Theological Studies: A Student Guide. We should study the Bible with fear and worship of God. We should study the Bible with growing humility about ourselves. We should study with prayerful dependence on the Holy Spirit. We should study the Bible with eager expectation to learn much but also expecting to find great mystery and challenges to our thinking. We should study the Bible with humble obedience. We should study the Bible with heartfelt gratitude and joy. These attitudes are the necessary prerequisites for anyone who is truly seeking God and desires a theological education that is transformational. To jettison these attitudes is not an act of foolishness; it is a sign that pride has taken root, which ultimately leads to ruinous results. Moving forward with the proper foundation, Wilkens and Thoennes guide readers through the theological forest. Along the way, they explain the differences between biblical theology and systematic theology. The journey includes each of the necessary steps that will ultimately lead willing students to the Celestial City. Biblical and Theological Studies is a basic book. 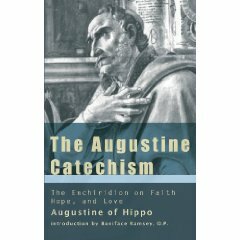 It is also an essential book that should be carefully devoured by undergraduates who have their minds and hearts set on a solid theological education. “God’s purpose in creating this world is to establish a resplendent metropolis that will fill the earth, where God will reside in harmony with humans,” says T. Desmond Alexander. The author’s latest work, entitled The City of God and the Goal of Creation is a book that tackles the important subject of biblical theology. Alexander’s book is the latest offering in Crossway’s Biblical Series which is sure to please readers accustomed to solid scholarship. The aim of the book is to present the biblical reality which concerns the city of God, which stands at the heart of God’s redemptive purposes. The author begins in the garden of Eden which “anticipates God and humanity dwelling together in harmony.” Sin short-circuits the hope of a temple-city but God is committed to his original plan. Alexander carefully guides readers through the various minefields that surface in Scripture, all of which are a part of God’s sovereign plan. The trajectory which anticipates the city of God is a theme that runs through the entirety of the book and finds its culmination in the New Jerusalem which will be fulfilled when Christ returns. The City of God and the Goal of Creation is short but packed with theological nuggets that should attract readers drawn to eschatology and beyond. This is a dense work that invites careful study and contemplation and promises some special challenges for readers with a commitment to Dispensational theology. This work is a true feast that will cause students to dig deeper into God’s Word and greatly anticipate the goal of creation, the city of God.